The last pit stop before the airport in my short Singapore trip was Henri Charpentier. Mrs. M raved about this place, especially about their matcha opera. As you may have read from my previous post, before heading to this cafe I just had a very big lunch and a sneaky Llao Llao session, so the dessert was the last thing on my mind, but I was intrigued by Mrs. M's review and couldn't say no to a matcha opera. When we arrived at the location of the cafe, I thought this was going to be a casual dessert cafe, but as soon as we walked in, it was opulence and luxury all the way. Appropriately we started our dessert session with their matcha opera. The verdict, I liked it! It certainly looked pretty and the textures were amazing I can't say I loved it only because I felt, for what it is, the matcha flavour could've been much stronger. Mrs. M did say that the matcha opera she had previously was much more decadent and flavoursome, so perhaps it was just our bad luck. The second dish served was the Dome, this was my order and I was beyond excited to see it light up. The novelty and entertainment of this dessert was like nothing I've seen before and I do apologise that the quality of the video isn't great. The dessert itself was very indulgent and not too sweet. I did find the alcohol very overpowering and at times it was the only thing I could taste, despite the other ingredients being in the same mouthful. The last dessert we tried was their Flower Temptation (SGD$25). This was another dessert created for pure entertainment. On this dish was pineapple, two types of chocolate mousse and orange liqueur. This dish was best eaten quickly before it melted before our eyes. I liked how the pinapples added a freshness and tang to the dessert that's otherwise very chocolatey. In all honesty we had a lot of fun in this very fancy cafe, the service and atmosphere was great, however, the desserts were a bit hit and miss. 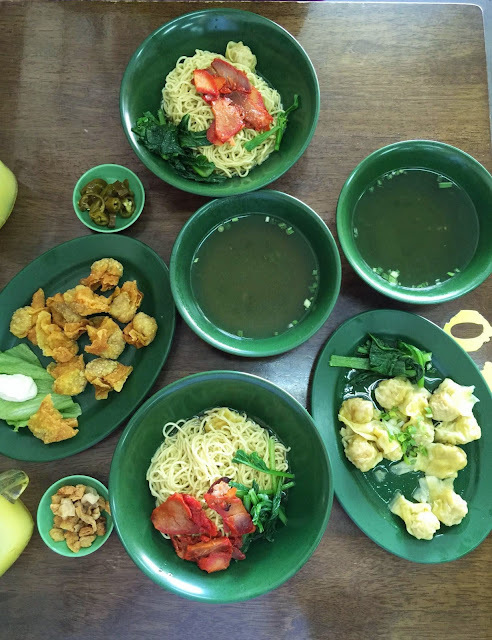 A dish that everyone must have when visiting Singapore is the dry wonton noodles. 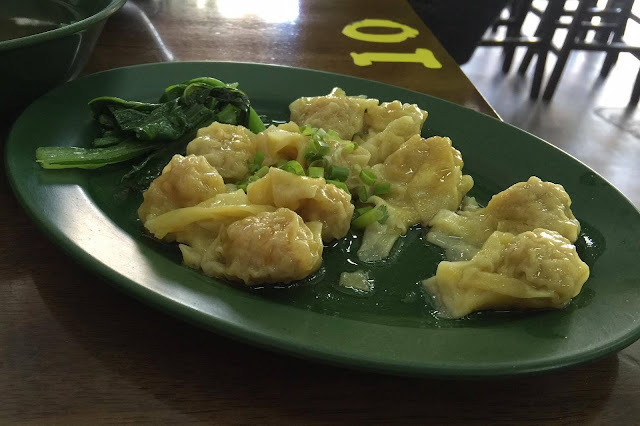 During my short visit to Singapore, we were able to squeeze in a visit to Mrs. M's favourite wonton noodle restaurant on the last morning of my trip. We arrived just before 11am to beat the queue and we got there just in the nick of time! We were one of the first people waiting for them to open! When we were seated and I saw their very minimal menu, I realised that they literally only served noodles and wonton! Everything we ordered was delicious! The noodles were the perfect firm but soft texture and I loved how thin the noodles were. The barbecue pork on top was also very tasty. The wontons were small, but tasted amazing. 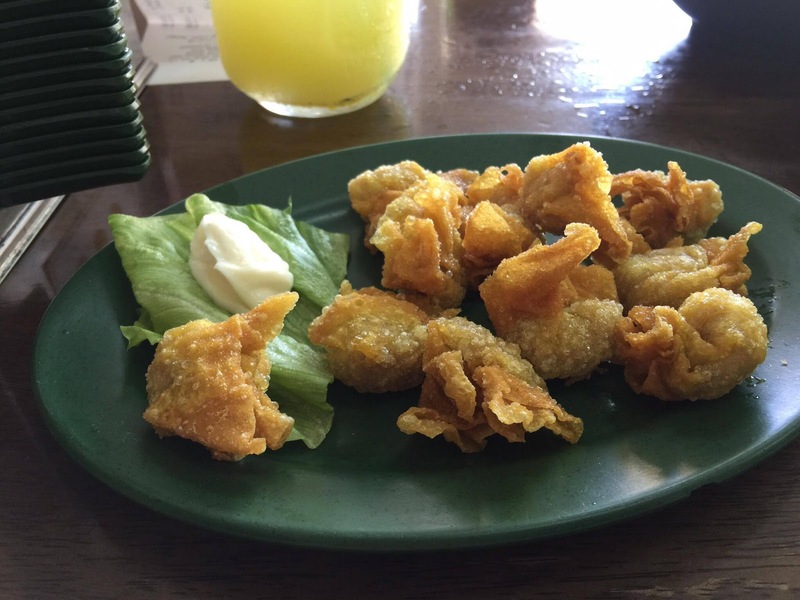 The boiled wontons were perfect eaten together with the noodles and the fried wontons were perfect as a side dish and dipped into their tasty mayonnaise. 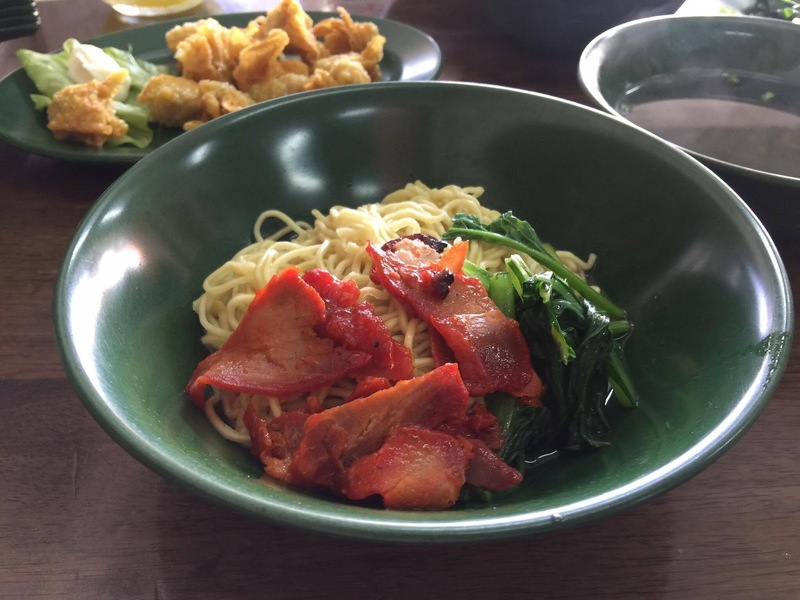 If you're a big noodle aficionado, or just looking a delicious cheap meal in Singapore, then Eng's Noodle House is the place for you! Disclaimer: Restaurant information and prices were true and correct on 31st Jan 2016. My third day in Singapore also marked my last day there. Mrs. M still had some exciting places for me to visit and it turned out to be a short and sweet day. Literally, very sweet. We did start on a savoury note. Today's breakfast is not your ordinary breakfast food, Mrs. M's idea of a hearty breakfast is Wonton Noodles. Now, I'm not one to complain, so I didn't because the idea of having noodles for breakfast was like a dream come true. So Mrs. M took me to her favourite wonton noodle place in Singapore, Eng's Noodles. She mentioned that this place gets full fast, so arriving before opening would be the best bet to avoid a queue. We arrived 10 minutes before their 11am opening time and we were not even the first ones there! Singaporeans are cray for wonton noodles! After a very satisfying late breakfast at Eng's noodles, we quickly hailed a taxi to take us to Sunday Mass. We went to Church of the Sacred Heart, which was very conveniently close to Mrs. M and hubby's apartment. This church was beautiful, it had a Cathedral feel, but at a smaller scale. After mass, we walked back to Plaza Singapura. At this point we were still full after the wonton noodles, but as it was my last day and I had been wanting to try Llao Llao the frozen yogurt place, we decided to go now. Unlike the frozen yoghurt places we get in Perth, Llao Llao only offers one yoghurt flavour, their combination of fruits and toppings is what makes all the difference. I was recommended to order the Sanum, which seemed to be their most popular menu item. The Sanum is a froyo in a cup with your choice of three different fresh fruits, two crunch (eg. oats or cookies etc.) and two sauces (eg. chocolate or caramel sauce). Our creation of turned out amazing, once I mixed it with all the different toppings, I understood why you wouldn't need different flavours of yoghurt, the toppings itself is diverse enough! After our short visit to Llao Llao, I didn't think I could eat anymore sweets, but, Mrs. M and her hubby had a different idea. They proceeded to take me to Henri Charpentier, a Japanese French inspired cafe. After stuffing ourselves with more desserts at Henri Charpentier, we had to quickly go home so I could pack and catch my dreaded flight. As I wrote this post, my heart longed to go back to Singapore, so I could spend more time with Mrs. M, but mostly to eat more. In all seriousness, from the bottom of my heart I want to thank Mrs. M and her hubby for taking time out of their busy lives to show me the best time in Singapore! Absolutely can't wait to go back! Disclaimer: All information was true and correct on 31st Jan 2016. A signature Singapore dish is the Hainanese chicken rice. So it was only fitting that we visited Wee Nam Kee, dubbed by Mrs. M and hubby to be the best chicken rice they've ever had. Expectations were high, but admittedly I was still full from the lunch and snacks I had earlier. Like earlier in Paradise Dynasty, we arrived earlier than our normal meal times to avoid a queue and sure enough we were seated straight away. There was no need to take too long perusing the menu, we knew what we were after, roast chicken and rice it was and sambal kang kong for good measure! You may think that half a roast chicken between three adults would not be enough, well I'm not sure if they were just generous and the chickens are bigger in Singapore, but, there was certainly enough here for the three of us! In terms of taste, this chicken was the amazing! The flavour has seeped all through the tender meat and every bite was packed with flavour. The skin was not too crispy, but who cares when it's this tasty! The chicken flavoured rice alone was fragrant and flavourful, this alone would stimulate a carnivore's appetite! This was the perfect accompaniment to the roast chicken! The last dish served was the sambal kang kong. By this point I thought I was too full to eat too much of the kang kong, but after the sauce touched my tongue I couldn't stop. My conclusion, Singaporeans makes a mean sambal kang kong! When you're in Singapore, Wee Nam Kee is a definite must-visit restaurant. Don't be fooled by the exterior and interior of this restaurant though, it looks very doubtful, especially in terms of hygiene, but they serve a mean chicken rice! Disclaimer: Restaurant information and prices were true and correct on 30th Jan 2016. I absolutely love Dim Sum, but I try not to have it too often as I tend to overeat and regret it later. But, when Mrs. M said she was taking me to try the best dim sum she's ever had in Singapore, well I just couldn't reject her offer. We arrived at Paradise Dynasty at around 11am to beat the rush, also because we woke up too late and missed breakfast time anyway. Like in New Ubin Seafood, I left the ordering to Mrs. M's capable and knowledgeable hands. 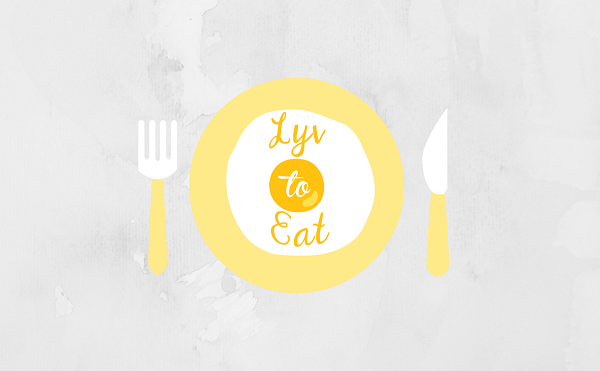 Below are her favourite dishes, and now, they're mine too! The first dish served was the la mian. What a thrill it was to have noodles for breakfast, when in Singapore right? Even though the mushroom sauce was a little spicy for me, I loved this dish. The noodles was my favourite thin and firm noodles and the sauce was thick and tasty. There was generous minced meat on top, actually there was a generous amount of everything in this dish. Then came the kai lan, nothing too exciting, but made us feel a little healthier. This dish was certainly tasty, but there was way too much thick and tough stalk! Next, I tried a dim sum dish I've never tried before, the pan fried buns. It's reminiscent of a gyoza or pot sticker, but the wrapping is a nice fluffy bun that's crispy on the outside. One little piggy bun went in my tummy, another little piggy bun when into Mrs. M's tummy and the last piggy bun was cut straight in the middle! I really enjoyed this dish, but there was a sour flavour in the filling that was unusual, but when eaten as a whole, it was very tasty and filling. Lastly, we enjoyed the eight different flavours of xiao long bao. My favourites were the black truffle (black), cheesy (yellow) and the foie gras (gold) xiao long baos. Overall, the xiao long baos had a very delicate and thin skin, which didn't break when we picked it up. This was definitely an experience in itself and it was like eating an eight course degustation! I was so glad I got to taste such delicious dim sum in Singapore and it got us all excited for the day ahead! I'll be back Paradise Dynasty! 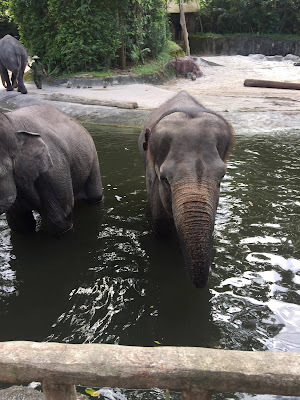 The excitement of visiting the Singapore Zoo, River Safari and New Ubin Seafood restaurant was probably enough for three days, but, that was only the beginning for us! On my second day in Singapore the focus was more on eating and shopping! After adequate sleep in, we finally made our way to breakfast. Mrs. M took me to Paradise Dynasty in ION Orchard. Read all about it here. We then proceeded to window shop and had a nice a relaxing stroll through Orchard Road. By this I mean, we walked down Orchard Road with our eyes peeled from some ice cream sandwiches! Mrs. M assured me that we would have no trouble finding and ice cream sandwich stall, but it took a good 10 minutes until we found one on the our side of the street. It was as if Singapore was teasing us. When we finally found one, I was taking too long to decide which flavour ice cream I wanted, so Mrs. M convinced me, nay, forced me to try the sweet corn flavour. I have tried sweet corn flavoured ice cream from an oriental shop in Perth and was very disappointed, so I was a little apprehensive with this one. But, with the first bite, my worries melted away. The ice cream was smooth, thick and creamy. The colourful slice of bread tasted like plain bread, but was super fun to eat! What a cheap thrill! After my ice cream sandwich craving was satisfied, we resumed our shopping. Mrs. M introduced me to a Japanese shop, Tokyu Hands. We spent a good hour browsing and trying out their skin care products! From cleaning products to toys, there's definitely something for everyone here. Then to continue with our Japanese theme, we sat at Maccha House just outside of Tokyu Hands. This cute Matcha Set came with hot water in the pot, matcha powder in the cup and Japanese Mochi. I also really appreciated that the hot water was free flow, so you can keep adding it to the matcha powder to dilute it further. After sitting at Maccha House much longer than planned, it was time to meet up with Mrs. M's hubby to make our way to dinner and desserts. For dinner they took me to Wee Nam Kee, a delicious Hainanese Chicken Rice restaurant. Then for desserts, we went to a place nearby, Ah Chew Desserts. We arrived at Ah Chew just before the rush and got comfortable seats without queuing. I ordered the Mango Sago and Mrs. M and hubby shared the grass jelly with watermelon. The mango flavour in the mango sago was very strong and I loved the colour. There were also plenty of chopped mango in there. My favourite had to be the mochi! I used to think mochi in Indonesia was the best, but the mochi at Ah Chew was hard to beat! It was large and served still warm. When I bit into it, the filling oozed out and it was very tasty. I preferred the peanut filled ones as it had a very nice crunch, but both were very enjoyable. The mochi casing itself was also very smooth and soft. It was amazing! After our bellies were full from chicken and mochi we made our way home to take Holly, Mrs. M and Hubby's dog for some exercise (we needed it more than she did). As I mentioned in my Singapore Day 1 post, a seafood restaurant Mrs. M and her hubby could not stop talking about was New Ubin Seafood. They mentioned it to me prior to my arrival in Singapore and throughout the day. Needless to say, I was expecting some amazing seafood. From our long, exciting and tiring day at the Zoo and River Safari, we made our way straight to New Ubin Seafood restaurant. This restaurant is located in the middle of an industrial area and at dinner time, it seemed like the area was abandoned, except for this restaurant. We arrived at about 6pm and it was already three quarters full of people halfway through their dinner. I've been told that without making reservations, to walk in a get a table would require a small miracle. Being the tourist and guest, I left the ordering to Mrs. M and hubby. All the dishes tasted amazing! I must also mention, we also ordered their kang kong (SGD$8 for small size) which we devoured before I remembered to take photos. My favourite dish of the night was the boss bee hoon, This dish had so much flavour going on, but it worked well. There was plenty of seafood running through it to enjoy and the bee hoon was soft, but did not lose its shape or firmness. My second favourite dish had to be the black pepper crab. This would've been my favourite dish in terms of flavour, but as eating crab is messy business, it was a bit difficult to get to all the crab meat. But, the flavour was unbeatable! The last dish served was the steak. I was surprised to find it was pre-cut into bite size pieces, but this was nicer and more convenient to share. Mrs. M and hubby had said this was one of the best steaks they've had, ever! So, again, expectations were high. However, we were left a little disappointed when we found that the meat was a bit tough. The colour looked perfectly cooked to what we requested, but the beef was a bit chewy. But, I've been reassured this was a rare occurence and judging by how many other tables ordered this dish, I'm inclined to believe them. My first day in Singapore had been so much fun and we closed it with a great dinner. If I hadn't been dining with "locals" I'm sure I would've never found this place! So thanks to Mrs. M and hubby for showing me this gem! Disclaimer: Restaurant information and prices was true and correct on 29th Jan 2016. Perth has not been the same since Mrs. M moved to Singapore. So the only rational thing to do was to visit her in Singapore. I squeezed in a three-day trip to Singapore before my short holiday in Jakarta. Initially, I was planning to make up an awesome itinerary for Mrs. M and myself, but I got too lazy and in the end Mrs. M planned the whole thing for me. Which worked out even better now that she's a local Singaporean! Below are the some of the tourist spots and restaurants we visited. I arrived in Singapore at midnight on the dot. I've always been a nervous taxi passenger, having heard so many nightmare stories of women being abducted by taxi drivers. I made sure Mrs. M was awake and easily contactable before getting on a taxi. But, when I was assigned a taxi driver, all my worries disappeared, my taxi driver was a very polite and helpful Singaporean uncle. When we arrived at my destination he made sure I got all my bags and that someone was there to meet me! Thanks uncle! Having arrived at midnight, obviously, the first thing I did in Singapore was, sleep! Not so early the next morning, I had to rouse Mrs. M to wake up so we could begin our adventures! First stop was Toast Box for a Singaporean breakfast. 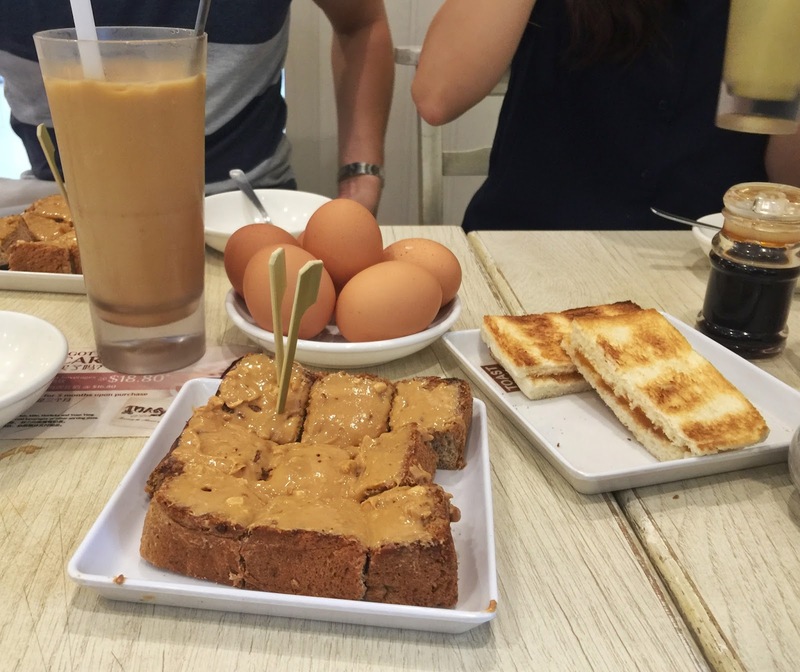 We breakfasted in the Plaza Singapura branch of Toast Box. This place was very busy and later I found out, it's always busy. Mrs. M, her hubby and I all ordered the meal which included kaya toast or peanut butter toast, three soft boiled eggs (yes three!) and a drink. I chose the Melaka iced tea with the kaya toast for a real Singaporean experience. How much did I pay for all this you ask? Well, if my memory served me correctly, SGD$4.90!! And, I loved it all, the drink was refreshing, the eggs were soft boiled just right and the kaya toast was sweet and tummy-warming. After our very affordable and satisfying breakfast, we headed straight to Singapore Zoo. Before my arrival Mrs. M has hyped up the Singapore Zoo, so my expectations were high. 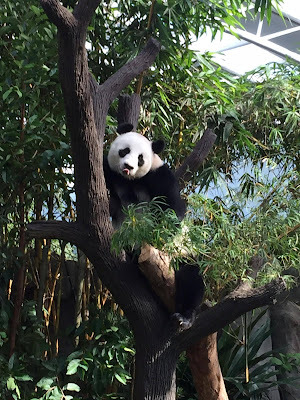 We decided to check out two out of the three Singapore Zoo branches, the Singapore Zoo and the River Safari. We also pre-purchased the tickets to get a 30% discount (SGD$55.80 per person). The highlight of our visit to the Singapore Zoo had to be the Elephant show and feeding the elephants afterwards. For SGD$5 we bought a fruit basket from the zoo-keeper who supervised us feeding various fruits to the elephants. It was such a fun and amazing experience! Straight after, we made our way to the River Safari to meet the pandas! This was definitely another highlight, to see pandas so close up! After spending about seven hours in both Singapore Zoo and River Safari, we were ready move on and rejoin human civilisation. So we Uber-ed our way to a seafood restaurant Mrs. M and hubby could not stop talking about, New Ubin Seafood. A few friends approached me to accompany them to try out tbsp., but every time we made plans it fell through. This emotional roller coaster ride of anticipation then disappointment got the best of me, so I made plans with my most reliable eating partner, Mr. T. We both have never explored Bayswater before, only passing it to get to Guildford for our favourite burger, Alfred's. So we felt like we were hitting two birds with one stone! Exploring a new (to us) suburb and a hip relatively new cafe! As we were travelling to Bayswater, we realised there's so much of Perth we're yet to see, who said Perth was boring? When we arrived, as we expected, the cafe was jam packed, but we were squeezed into a small table near the counter. This was perfect for us, we could see all the baked goods they had on offer and watch all the drinks being made. I have to mention as well, all the staff members were exceptionally friendly, this made our experience at tbsp. that much better! One friend I do not catch up with enough is Miss. Cherry, with her working three jobs and all! But, when the opportunity arose for us to catch up, we both pounced at the chance, even though it had to be a quick breakfast before she starts her shift at work! She suggested The Shipping Lane, a place I haven't been to in one year, so I was pleased to get the chance to revisit this place. Although the weather that day was gloomy, it was made all the better by seeing Miss. Cherry! After going through the menu quickly, as time was of the essence, I was surprised to see that their menu has not changed, or only by very slightly. I settled on the slow poached salmon. It sounded delicious yet still light and healthy. I was right, it was delicious and with all the green leaves I'm sure it was healthy too! This dish was bursting with salmon, but also had the perfect amount of avocado. The egg was poached perfectly and the drizzle of truffle oil really lifted up the flavours! This dish also included crispy bacon, but unfortunately the texture was a little rubbery. Overall, a very satisfying dish. Miss.Cherry continued the salmon theme by ordering the smoked salmon dish. I was also eyeing this dish on the menu, and was glad Miss. Cherry ordered it, because it meant I could try it too! The smoked salmon was equally delightful. Again the portion size was very generous, especially with the salmon. The combination of mushrooms, asparagus and salmon worked really well together and it made for a satisfying breakfast. We both really enjoyed our meals and catching up! Can't wait to do it all again! Disclaimer: Restaurant information and prices were true and correct on 8th Jan 2016. Prices inclusive 10% GST. If we were playing Taboo and we had to describe "Hot Dog", Miss D. would probably say "Cousin of the burger." Some of you may have heard of Wonder Dawg & Co. as they have been popping up at food markets over the past few months. Well, now they have found a semi-permanent home in the ever cuisine-changing, 1 Leonard Street in Victoria Park. Seeing Wonder Dawg's photos on Instagram is enough to make anyone carnivore drool. I've never had the pleasure of trying their hot dogs at the food markets, so now that they're much easier to find I couldn't wait to check them out. We visited Wonder Dawg for dinner one Saturday. As we sat down and started going through the menu, we were ecstatic over the prices, so affordable! Below are the dishes we tried out. As an avid fan of all things Japanese, I decided to try the Okonomi Dawg. 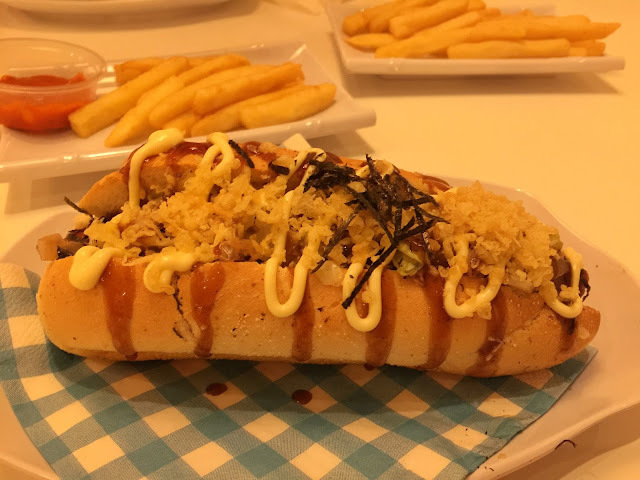 The hot dog base was topped with a generous amount of seaweed, bonito flakes, tempura crumb, cabbage and caramelised onion. This hot dog was one good looking dog. The flavours and textures was also nice. The sausage itself was tasty, but I thought it was too skinny for this bun and toppings that the flavour of the sausage was drowned in the sea of toppings. The tempura bubbles added a nice and fun crunch and the mixture of mayo and okonomiyaki sauce was very tasty. I would've liked more caramelised onion though. Overall very filling! 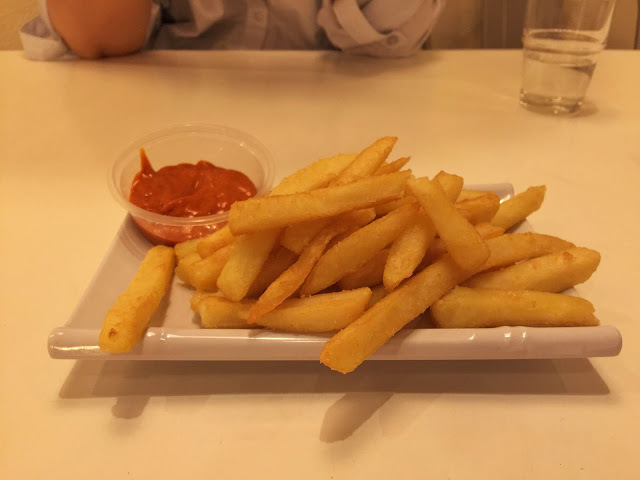 To share, we also ordered the fries and the side dipping sauce of gochujang mayo. The fries are beer battered and very crispy and tasty on its own. But, the dipping sauce added a nice level of spiciness and flavour that you just can't pass up! I thought for the extra $1 for the dipping sauce that there should be more of the sauce. 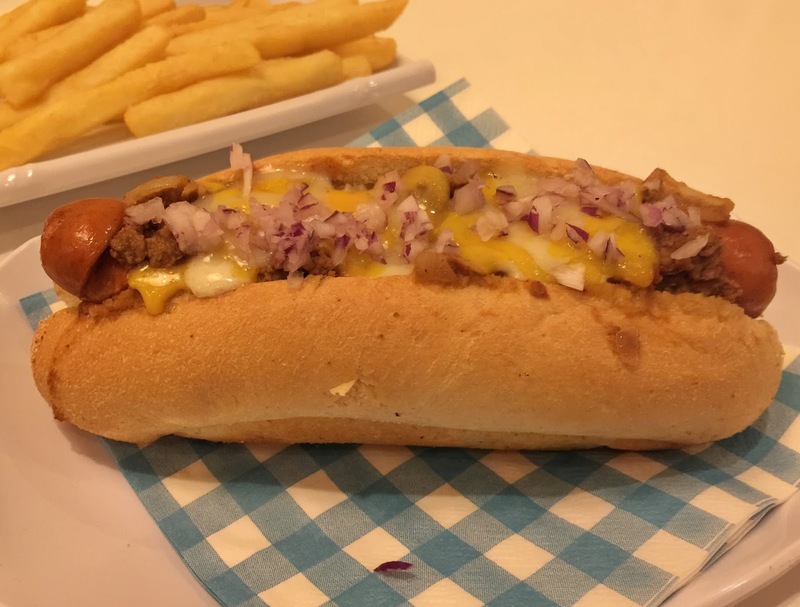 Mr. T decided on the Coney Island Dawg, simply because it also contained mince meat on top of the sausage and he was famished! He was pleasantly surprised that the sausage was slightly spicy and it was filled with cheese. He really liked the combination of the onions, minced meat and cheese sauce, although he was hopping for some tomato sauce or mustard on it as well to make it extra tasty. My sister went traditional with their German Dawg. Like the Coney Island Dog, the sausage was filled with cheese and was very indulgent. Of the three dawgs we tried tonight this was actually my favourite. The sauerkraut with the caramelized onion, tomato sauce and mustard made for a very tasty topping and overall this was enjoyable to eat. The three of us enjoyed our time at Wonder Dawg & Co.. Their menu is very creative and I think there will be something to satisfy everyone. Overall, I thought the hot dogs were very affordable and they were very generous with their toppings. I did think that their buns was a bit dry, it was very crunchy on the outside which was nice, but there wasn't a nice soft bounce to the buns. Keep watching this space though, because I think they'll keep improving their menu and flavours! Facebook: Wonder Dawg & Co.
Disclaimer: Restaurant information and prices were true and correct on 20th Feb 2016. Prices inclusive of 10%GST. We received 30% discount off our total bill.